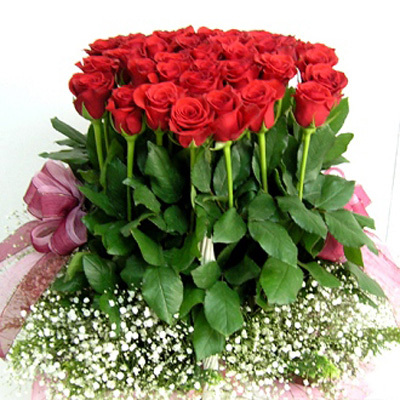 Evenly arranged 50 Red roses basket arrangement, is a sensational design for your loved one. Best way to express your love. Different color options are available please select from the option as per requirement. This bright cheery 25 Pcs arrangement of yellow rose with snapdragon would definitely bring a smile.. This Popular Choice Really Is The Perfect Gift To Celebrate The Birth Of A Baby Girl - A Beautiful ..